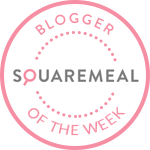 Emily's Recipes and Reviews | UK Food Blog | Leicestershire : smoky sweet potato & mixed bean stew. smoky sweet potato & mixed bean stew. The final of my three Domu challenges - to make a meal for a family for under £4. For this I created a smoky stew packed with pulses and extra vegetables. Not forgetting the secret weapon for making budget meals extra tasty - the trusty slow cooker! This sweet potato and mixed bean stew recipe came in at a savvy £2.72 and served four portions - so I knew I had enough dosh leftover for my favourite posh Red Leicester and sunflower seed bread too. Obviously had a little help from store cupboard ingredients but I hope you'll forgive me - this recipe is still a super bargainous one even if you invest in paprika and tomato puree for future creations! Step one. Take all your ingredients and put them in the slow cooker. Step two. Fill one of the 400g cans with water and pour that in too. Step three. Set your slow cooker to low for 5-6 hours or high for 3-4, depending how much time your have for extra sloooooow cookin' time. Let the slow cooker do its work and serve with crusty bread and lots of real butter (remember to get soya butter for your vegan friends)! This particular model is the VonShef 6.5l Electric Slow Cooker which retails at £19.99 - it has a high or low setting as well as auto mode. What's your favourite go to recipe for budget grub? How do you get secret veg into your meals? Read about my other Domu challenges here too - the twist on a classic Bakewell Mess and unusual ingredient Mexican Pulled Jackfruit. I'm entering this into CreditCrunchMunch link up for for money saving recipes - created by Fab Food 4 All and Fuss Free Flavours. 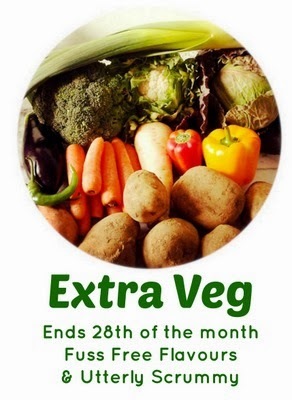 I'm also joining up with #ExtraVeg hosted by Utterly Scrummy and Fuss Free Flavours. Note: I was sent a slow cooker for review from Domu. All recipe and opinion are my own. This looks fantastic, pinning it straight to my slow cooker board - easy, thrifty and slow cooked makes it a total winner! Great recipe. Looks really nice too. Yum. You had me at smoky sweet! This looks delicious, and yet really easy to make! A totally free to make sure you for instance only a delightful using important page. Document truly highly valued a good deal. Kind regards relating to submitting here round. Shield modernizing increased. With thanks very much regarding it revealing look at. Positive i will notice this products in your home combined with to the health and wellness ,and additionally loving, lol! Absolutely love the design!Is prudent wasting once we use this On daily basis. cafe rouge, the mailbox, birmingham. afternoon tea at vinteas, leamington spa. twenty tasty picnic recipes for the summer. aria bistro at the hyatt regency, birmingham.